According to the American Psychological Association, shifting between applications can decrease productivity by upwards of 40 percent. 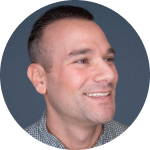 At Guru, our mission is to bring you the contextual knowledge you need to do your job - when and where you need it most - empowering people to do their jobs faster and better. Today, we’re thrilled to announce another small step towards making that vision a reality with our Front Integration. 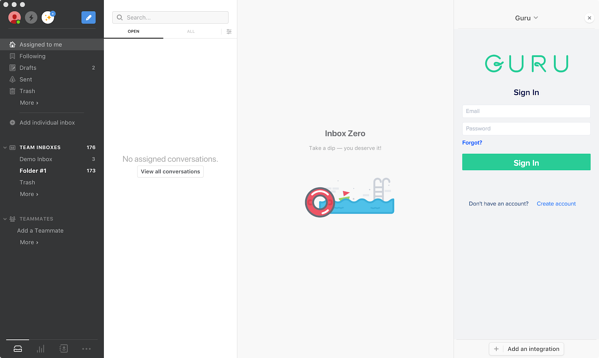 Front consolidates your email, chat, and SMS conversations into a single inbox. 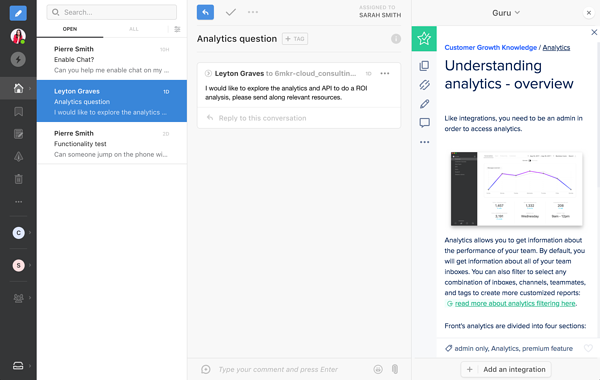 With Front, teammates can access the same messages without CCs, reply-alls or side conversations, bringing team collaboration and customer conversations together. Since many customer-facing teams thrive using Front’s shared inboxes, it only made sense for knowledge in Guru to be embedded natively in the Front app itself. The Guru integration within Front’s web or desktop app will empower your sales reps or support agents to access the relevant information necessary to respond to customer emails and collaborate with teammates to provide prospects and customers with lightning-fast responses. Once you enable the Guru integration within Front, you can use your Guru credentials to log into the Guru integration panel in Front. 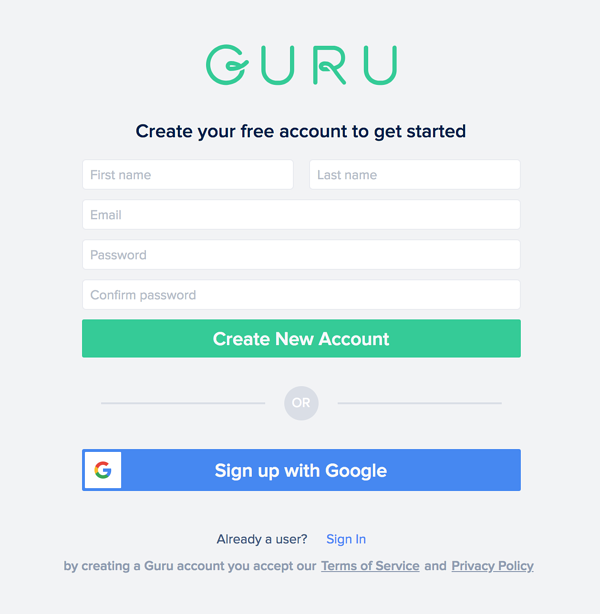 If you intend to use Guru in Front's Desktop App, you will need to use the "Create an Account" prompt to create a native Guru log-in. PLEASE NOTE: The Front desktop app does not support logging into Guru with Google Auth, but you can log into the Guru integration using Google Auth on Front's web app.